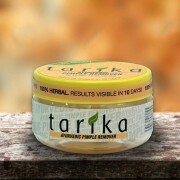 Tarika Pimple/Acne Remover is a unique 100% natural formulation of herbs and minerals for treating acne / pimples for a pimple and acne free skin. It's a safe and effective acne treatment for all ages and all types of skins, and shows significant results in just 10 days. 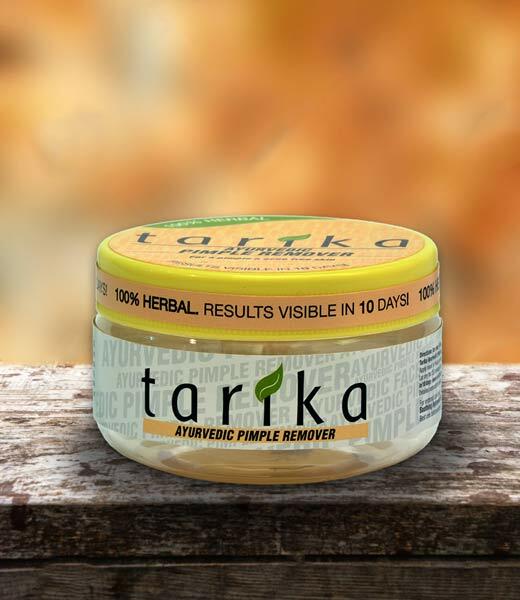 Tarika Pimple Remover is effective against adult acne, rosacea, whiteheads, blackheads, zits, the normal teenage acne problems and obstinate and old pimples/acne. 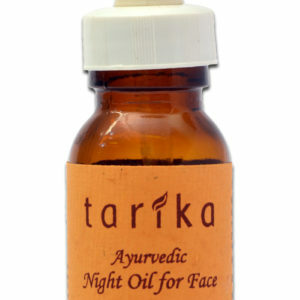 Before using Tarika Ayurvedic Pimple Remover, I had constant breakouts and had trouble clearing up my skin. I spent hundreds of dollars buying commercial products and none of them worked. 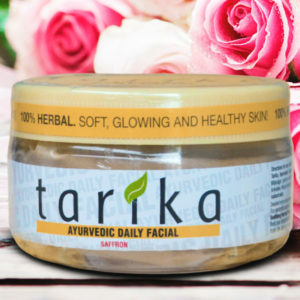 My Mom got me Tarika and I used it twice a day for a month - and my skin was clear within the first ten days. Thank you for saving my life. Bought it for my wife. Was little apprehensive about it. But believe me I have never seen her so satisfied with a beauty product. Go for it..works on any type of skin. 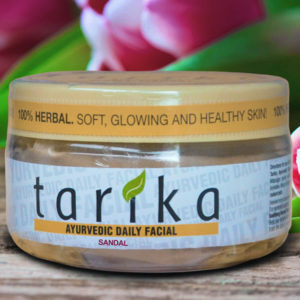 Tarika acne is really excellent mask ... beautiful skin smoothes and tightens pores - pimples less! I use every morning and evening cleansing gel and even then you see the difference. I encourage all and I think it's really top product to help elimination of acne. Hello, I would like to share my experience with Tarika. Tarika's the best I've ever tried to acne. I use it for about 14 days, along with the B-Skin acne and with whom I have fought for nearly 30 years is 90% off. The skin is a bit drier, but in combination with rose water and jojoba oil is better. I definitely recommend it for everyone who has trouble trying to get rid of acne. I tried a lot of products, from the cheapest to the most expensive antibiotics, etc. Nothing worked better than Tarika. I have dry, sensitive skin, during last summer I had was in a terrible state (redness and pimples), which I decided to tackle preparations known unnamed cosmetics company, the result was that my skin irritated more and pimples "swarming" one for others, unfortunately I do reddened scars I have on my pale skin very visible. Tarika literally rescued me after 10 days crust and the skin cleaned with prolonged use and scars disappeared. Now I use once a week or daily loklálně clean up the affected area, if you create a pimple. 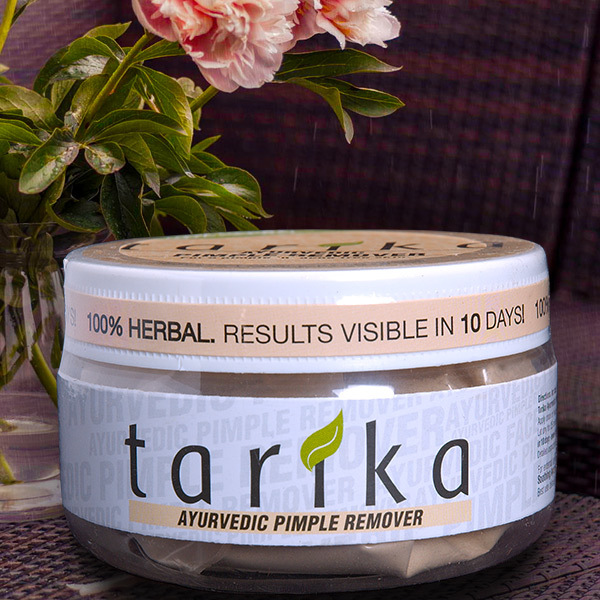 Tarika Ayurvedic Pimple Remover was extremely helpful to me. The results were visible after 10 days as promised. 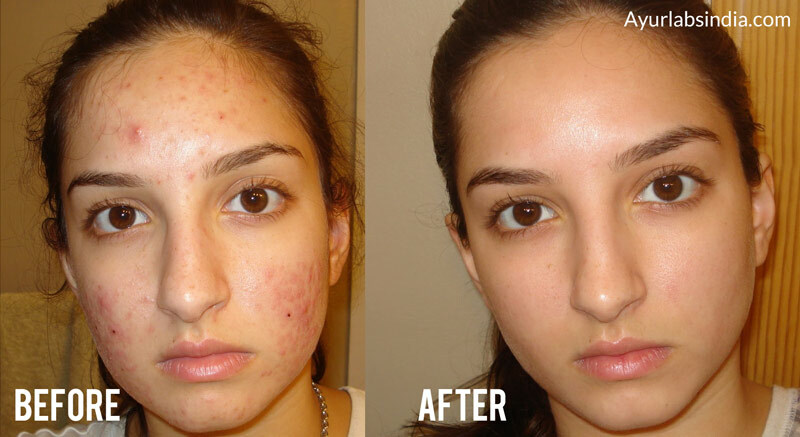 Results: Considerable reduction of acne. A friend of mine in Norway recommended the product. His wife found it for him in Singapore. He said it’s the first thing to work for him in 10 years. Hello from Tarika I'm totally excited. The skin after applying a mask beautifully hlaďoučká, yet I zastříknu rosewater and I save it to sleep. I do not just acne problems, but the skin is amazingly clear. I have no problems with peeling skin, someone says. I felt burning only battered nose from colds and soon disappeared. Applying 1x daily. After the reveal its take turns behind Mysteribath. Where I can recommend. Ayurveda is powerful! I can only commend Tarika too. It has become my indispensable savior at times when I have skin problems. my very sensitive, reactive skin that is very dry and I threw it in a horrible state full of blisters, clogged pores and especially inflammatory sites of long residence in the tropics (ending damp, sweat, mosquitoes and sunscreen ..) gradually cleared and settled down. For me, the best function masks applied in thicker layer 1 a day for about 30 minutes or at least until dry. more frequent or longer by my skin irritated and overly vysoušela. at this moment I do not have acute problems, but sometimes Tarika used as a mask or just cleaning the skin started peeling. 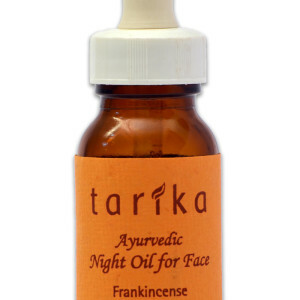 Tarika is definitely the most effective product I've used for problematic skin. 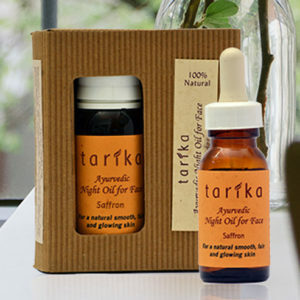 Tarika on the recommendation of Mrs. Magda ordered along with additional products to their acne-affected skin, and I can not speak highly enough of this product - it really helps, after all that I have tried in my life- it's a small little wonder! 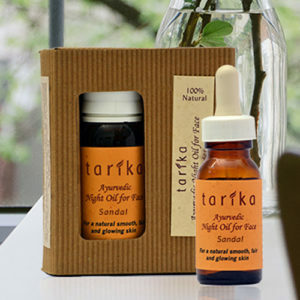 Slowly I became dependent on this věcičce and they perhaps can not imagine their day / night without the mask of Tarika makes skin beautifully smooth, pulls pores, acne better hojí..používám combined with rosewater and jojoba oil really works .. here there is a new pimple naturally formed, but thanks to the TARICA 5 times faster heals everything :))) Thanks! Tarika Pimple Remover has given me excellent results. 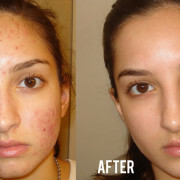 I have by application of the Tarika Pimple Remover for treatment of acne discovered its remarkably valuable effect. Tarika is the only product that really helped me. I am 39 years old, I tried everything possible to acne-chemical peels, laser, Omnilux ... after all, always state returned within a week to a "standard". 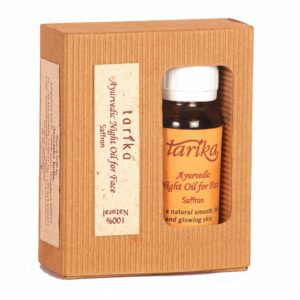 Tarika but it is necessary to use the first 10 crust and then periodically whenever a person feels that the more skin ointments. Improvement is truly more than 100% .I fully recommend. I've never had anything better. 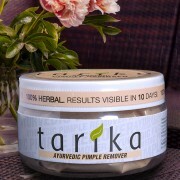 My son uses the Tarika Ayurvedic Pimple Remover and is very satisfied with your product. Tarik I really compliment. I use it for about 2 years and even dermatologist wondered where my acne, with whom I have fought for 15 years lost .... The doctor, to which I rode for many years to chemical peels, lasers and other therapies were really after 2 years, what He last saw very surprised. Do not throw away the money for cosmetic procedures, which will not help in the long term. Take the product of Tarika, purge the body…. Tarika is truly exceptional product, know better. 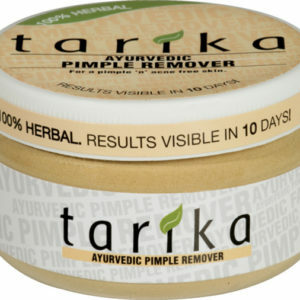 My daughter has been using your product Tarika Ayurvedic Pimple Remover and found it highly effective. Hello, Tarika is probably the best thing I've tried to problematic skin. The skin is cleaned and smoothed, definitely I recommend! 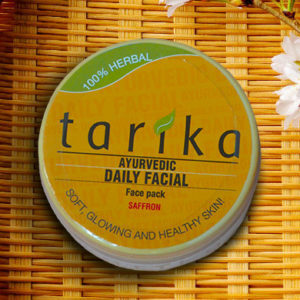 I am a user of the products Tarika Ayurvedic Pimple Remover and Tarika Ayurvedic Daily Facial. The product is very very good and useful for my skin texture and I found it a boon for my pimply skin. I saw your product, the Pimple Remover, at a friend’s place and have tested it. Actually I run a beauty parlour here. Your product is very good and I need quite a lot of the powder. 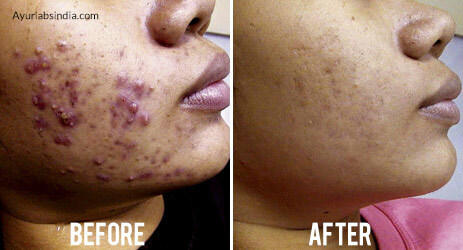 Tarika Pimple Remover shows visible change in 10 days and is not allergic even in bad skins. Pimple remover powder is effective and the face wash is also very good. this product is very good. After application, the skin is much clearer. 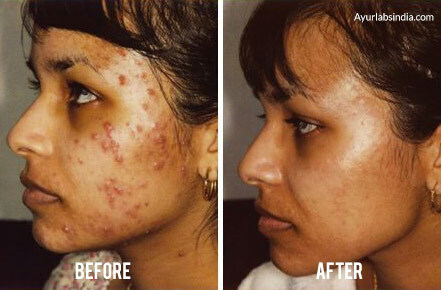 And it is true that the effect on acne is obvious. Applying to 2-3 a week for half an hour. Just point out that after application it feel a little burn, but after about 5 minutes disappear. So far this mask using less than a week and I agree that it is absolutely wonderful! When applying acts as a gentle peeling skin, and I pretty wiped out (though acne scars remained), and although still occasionally makes a pimple so it is 100% better. Before I tried it, so I was quite worried that excessively dry skin is like using a skin dishwashing gel, but my fears were unnecessary. Although after washing and drying the skin is drier, but within half an hour it compares seriously and do not have or use a night cream. On the recommendation of Mrs. Magda I use B-Skin and Shatavari and the fact that my skin has improved considerably. Too bad I did not come out earlier and threw a lot of money for fractional laser, which by the way did not help me and others "speriální preparations" for acne. My son uses this Tarika Pimple Remover pack regularly and it works well. 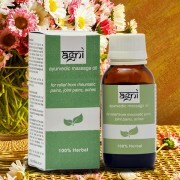 It gives good complexion to the skin and removes the pimples also. 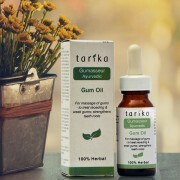 Tarika Pimple Remover is very effective and recommended. 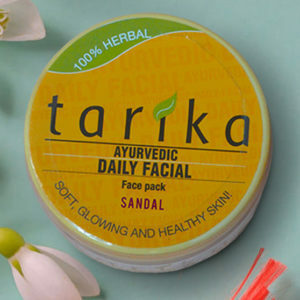 Tarika Pimple Remover Powder is very good on continuous usage. 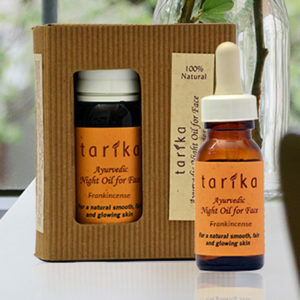 I purchased your Tarika products i.e., Tarika Pimple Remover and Daily Facial. I used them, they are very effective. I observed rapid improvement in my skin – so all my friends are asking about the products. It (Tarika Pimple Remover) worked very well for my eldest son and now it is the turn of the next one. Very old pimple and marks in cluster removed in 10 days by Tarika Pimple Remover and Night oil. 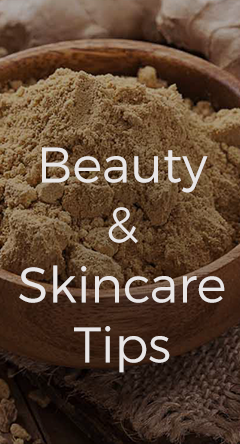 Works deeply to remove toxins, excess oils and make-up. Continued use will help prevent breakouts, keep the skin smooth and give it a natural glow. Leave a dab of Pimple Remover on an eruption overnight by morning it would have significantly reduced. 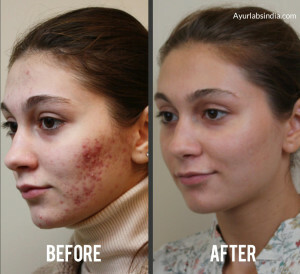 Effective for teenage pimples or for women experiencing hormonal changes. Simple, safe and easy to use – no need for peeling, suction removers, zit extractors, surgery, laser treatments or any other artificial techniques or devices. 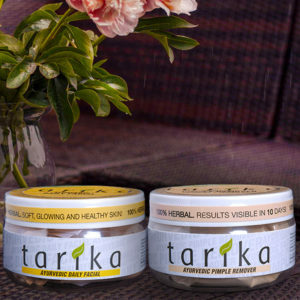 The holistic and balanced nature of the Ayurvedic ingredients in Tarika Pmple Acne / Remover promotes well-being without causing side effects. 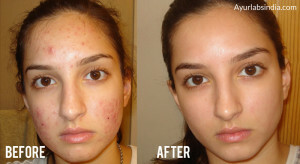 It is the simplest and easiest way to get rid of your acne/pimple. Clinical trials done to evaluate the efficacy of Tarika Pimple Remover yielded very satisfactory results in all cases of acne, including severe and old cases, in teenagers and adults of both sexes. For Clinical trial report and photos of acne cases treated with Tarika Pimple Remover paste the following links on your browser. A genuinely honest product. …pimple vanishes even before 10 days.great invention. 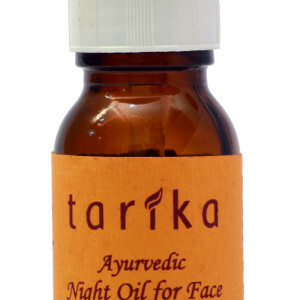 …lil costly…but really effective …no any complaints about any of tarika products. loved it.